The Blue Diamond – The Razor’s Edge – #Kindle or #Paperback on sale NOW! Looking for a fun read this weekend? Four feisty female pirates turning the Golden Age of Piracy on its head should do it. 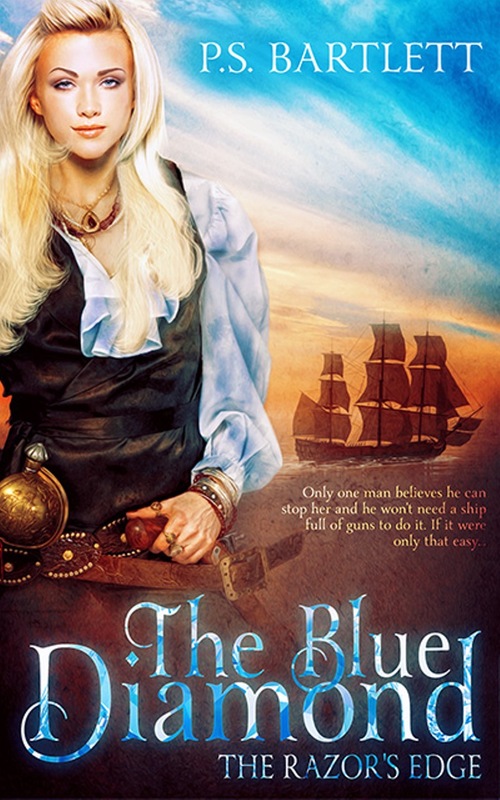 Adventure, romance and danger await you aboard The Blue Diamond! This entry was posted in Advertising, Author, Book Launch, Books, Fiction, Historical Fiction, The Blue Diamond and tagged action, adventure, book, books, dreams, historical fiction, indie writer, love, lust, passion, Pirates, success, The Blue Diamond, Writing by P.S. Bartlett. Bookmark the permalink. If you are into some piracy then how about the old fashioned kind with P.S. Bartlett’s The Blue Diamond on sale today….